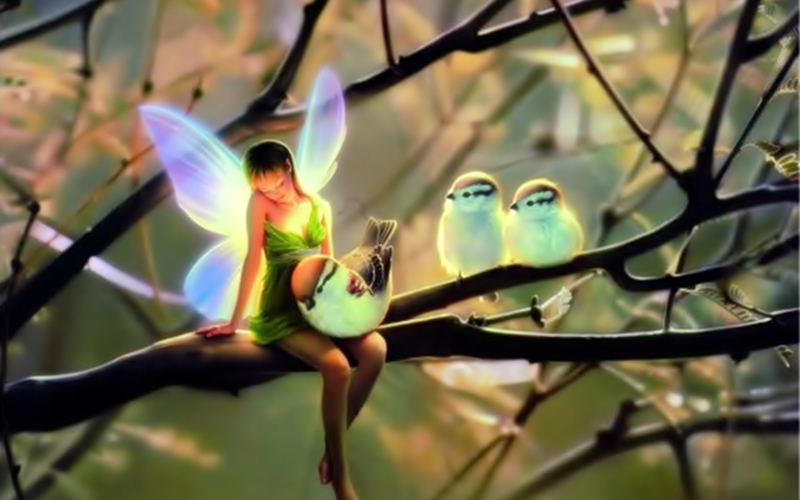 Fairy&Birds. if this image has already been uploaded pls tell me.. HD Wallpaper and background images in the Fairies club tagged: fairy wallpaper fey lovely fairy birds forest. This Fairies wallpaper might contain japanse abrikoos, mei, and prunus mume.